Shapes, connectors and text can easily be linked. Once two items are linked, moving/resizing one means moving/resizing the other accordingly. When text is written inside a shape, the connector is linked to the shape, and not to the text. When there is no shape, the connector is linked to the text. 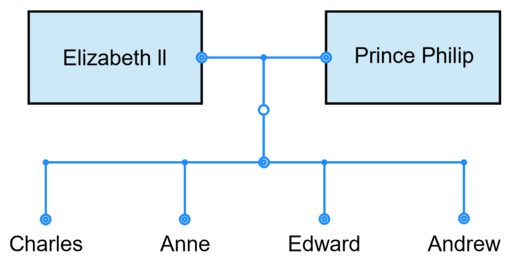 When two elements are linked by a connector, it is called a “node”. A node can either be a shape, some text or even free drawing. When the user places a unique and centered piece of text inside a shape, it is called a “cell label”. If text is placed near a connector, it is called a “label”.